Amalgam replacements – Yandina Dental. 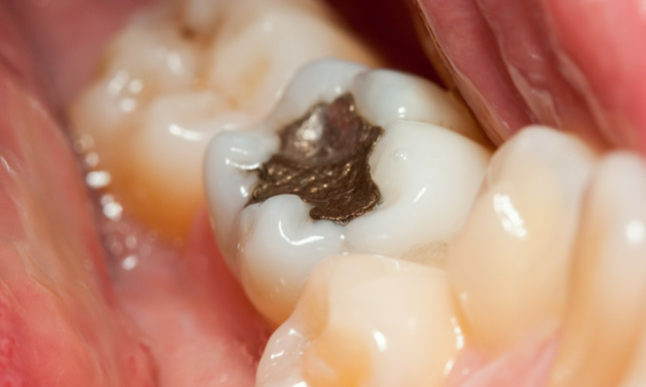 Dental amalgam is a material used mainly in the past to fill cavities. It is a combination of metals including silver, mercury and copper, with small amounts of tin, indium and palladium. It is less costly and more durable than the newer white fillings, especially in back teeth used for chewing. Over the years, concerns have been raised about the use of amalgam because it contains mercury. Here at Yandina Dental, we respect your decision about your body and are happy to remove your amalgams for health or aesthetic reasons, after discussing the pros and cons with you. Sometimes we find that teeth with amalgam fillings have cracks or decay, in which we will make sure we fix this for you too. Alternative replacement materials include composite resin (white fillings), as well as porcelain and gold inlays/onlays. Your dentist will discuss this in detail with you. For amalgam removal, your health and safety is our number one priority. For this, we use high volume suction, dental dam covering the teeth and an air purifier in the clinic room.